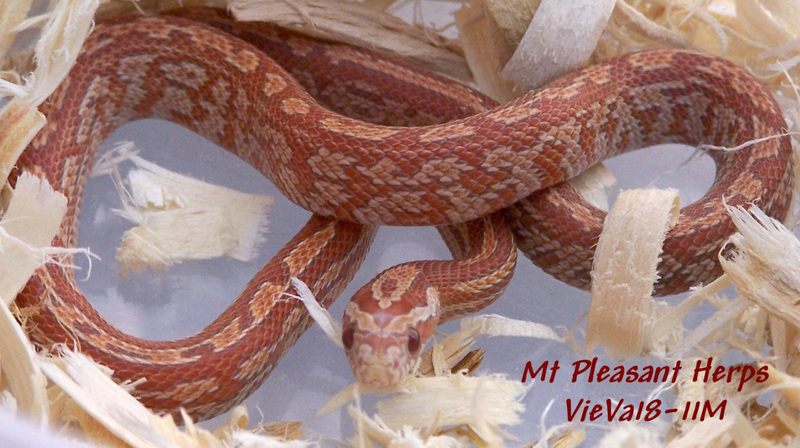 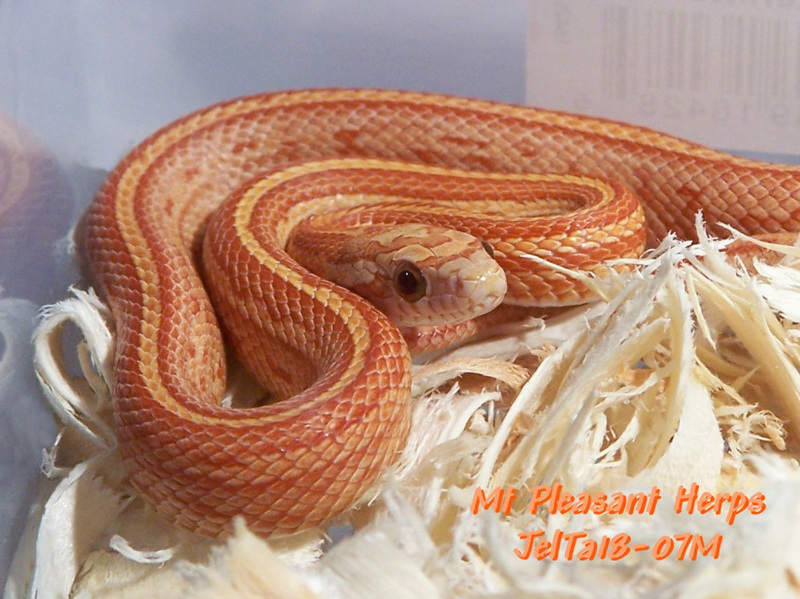 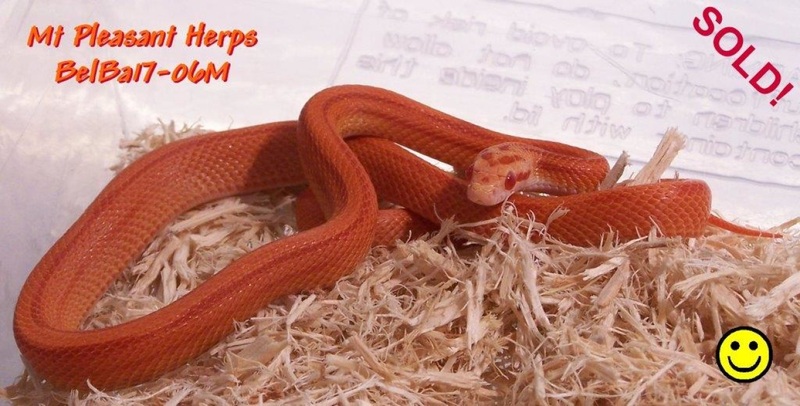 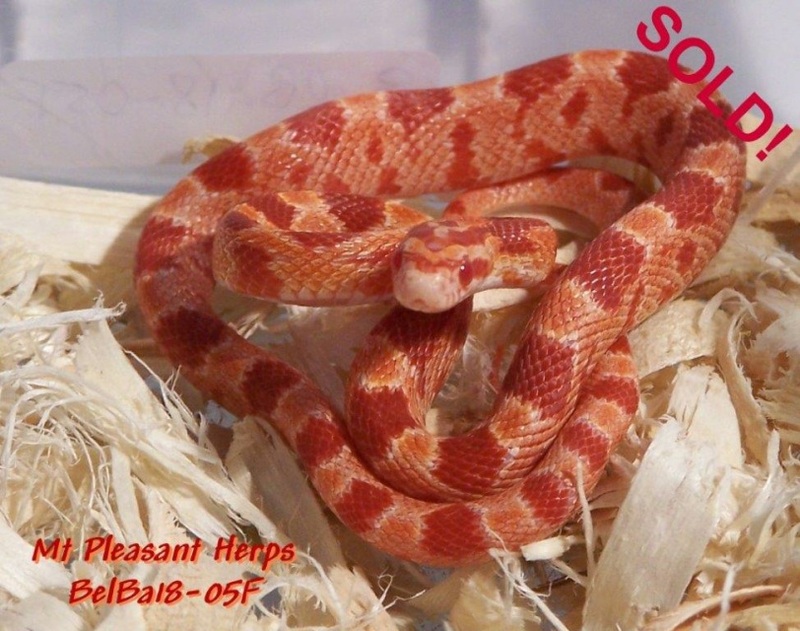 2017 Male Amel Hypo/Strawberry Stripe Corn Snake with Hets (BelBa17-06M) - SOLD! 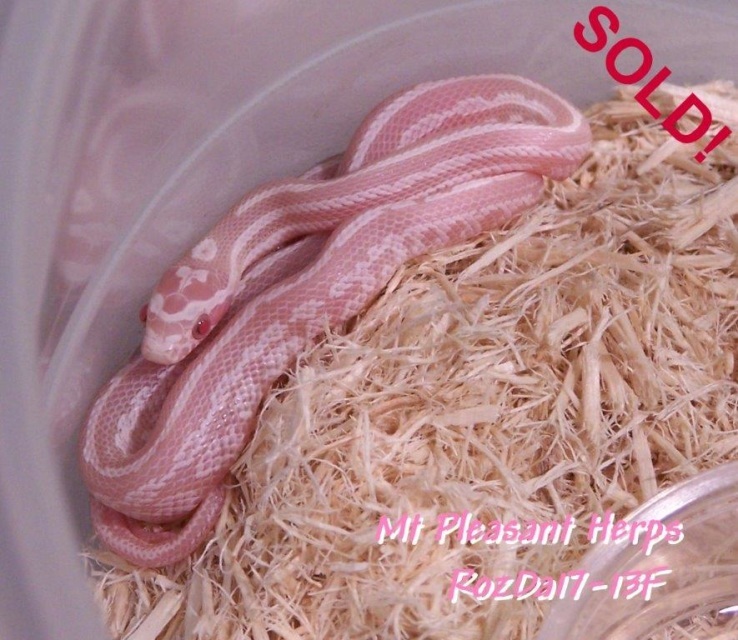 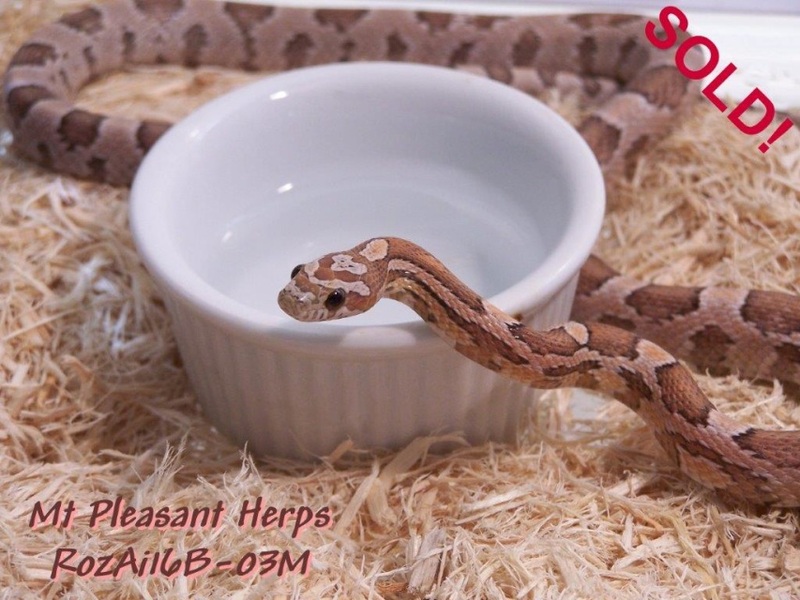 2016 Male Strawberry Creme Brulee Corn Snake with Hets (RozAi16B-03M) - SOLD! 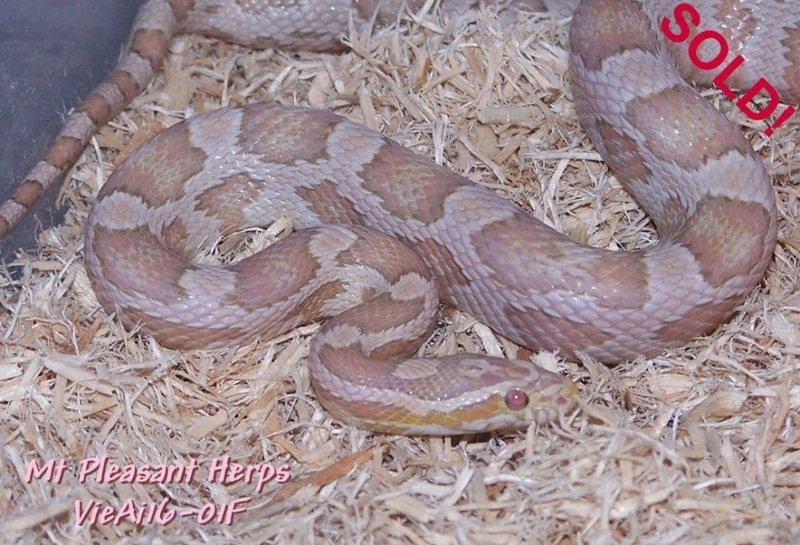 2016 Female Ultramel Anery Hypo/Strawberry Corn Snake (VieAi16-01F) - SOLD!